Sometimes, a recipe seems too simple to share. 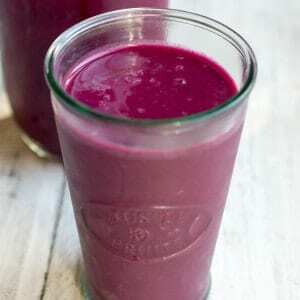 Furthermore, there are a bajillion zillion smoothie recipes on the internets. 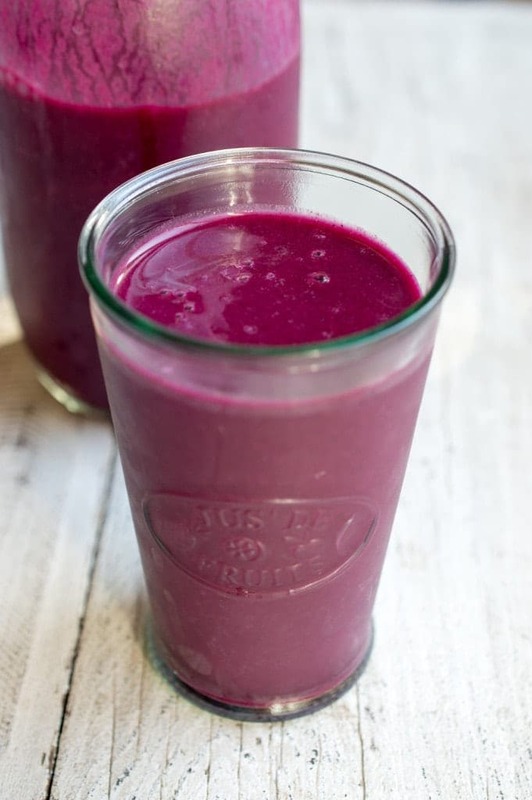 This one deserves a special mention though, I think, due to the inclusion of one of my favorite new food discoveries and an unusual smoothie add-in: young coconut and a raw, deep burgundy beet. Young coconuts are kind of a miracle food. They take less muscle to open than the fully-ripened, bowling ball-shaped coconuts I grew up with. Once you cut off a bit of husk and expose the shell, it’s easily crackable with the heel of a chef’s knife or cleaver. Inside, there’s tons of coconut water (usually about a cup and a half per coconut), and a layer of delicate, jellied coconut meat. I could go into detail explaining how to open a young coconut, but I think watching a video is way more helpful. Chef Steffy Sue’s video is fantastic. 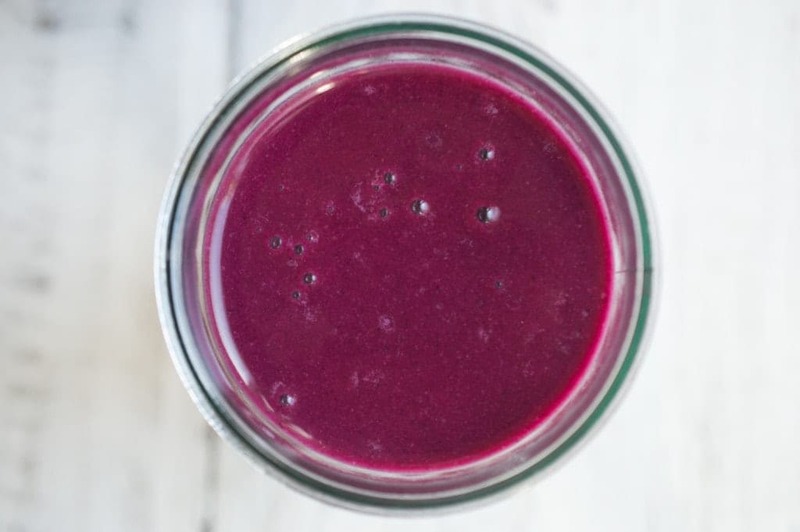 Watch her here, then get yourself a young coconut or two at your nearest Asian or Mexican market, come on back, and make this smoothie! As for that beet, you can definitely taste its distinctive mineral flavor. If you hate beets, feel free to leave it out. I actually like some vegetal flavor in my smoothies though, and the color is absolutely gorgeous to boot. This recipe makes about four one-cup servings — it’ll last a couple days in the fridge, so don’t feel the need to drink it all at once. I like storing the excess in half-pint mason jars and drinking them as an on-the-go pick me up when I’m headed out of the house. Enjoy! A deliciously different smoothie. Deeply colored and savory-sweet, it's one of my favorites. Add the ingredients to a blender in the order listed. Blend at high speed until smooth, stirring halfway through blending if necessary.